One of the most obvious examples of community at camp is the cabin. Campers live in a community of people who are sharing space, delegating work, and learning to cooperate to ensure things work. For example, during cabin clean-up, every camper is responsible for making sure their own bed and cubby are clean and tidy. In addition, there is a work wheel and every camper and staff member will have a job for the day such as sweeping, taking out the garbage, cleaning the sinks or getting the clothes off the clothesline. In doing so, campers begin to understand that not only is their individual space important but that their assigned job for the day contributes to the well-being and health of their cabin community. 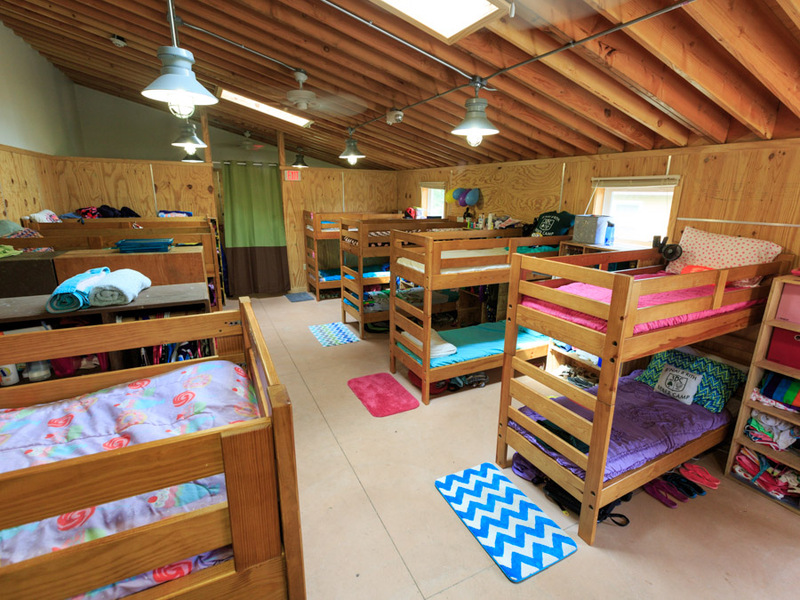 Plus, there is a big weekly prize for the cleanest cabin so campers don’t want to let their bunkmates down! When campers arrive to camp, they are not allowed to pick beds or unpack until all campers arrive and have gone through their health screening. The staff will have pre-assigned beds with your child’s name on it so there is no pressure to pick beds. If your camper has a strong preference for top or bottom bunk, please make sure to indicate that on the “letter to my counselor” that is available with the other camp forms. Cabin mates must also learn how to navigate the art of conflict resolution and communal decision-making. They must work through the issues and conflicts that come up in communal living — and they must learn to adapt and get along when things don’t go their way. They learn to understand that every camper is a unique individual and they must respect each other and their differences. According to the ACA, “small group living also provides the necessary intimacy for individuals to achieve a sense of belonging, explore a variety of group roles, cooperate and form relationships with others, and have input into the group’s activities”. One of the major tasks of the first day of camp is creating “Cabin Rules” as a group. The staff works with their campers to define the code of conduct that must exist in order for the group to be successful. This document is displayed in every cabin and is signed by every camper. While living in a cabin is one part of the Beber community, the majority of the day is not spent in the cabin and not necessarily with your cabin mates. The hobby system at Beber is designed to give campers an opportunity to meet and interact with other campers and for campers to choose their activities based on interest. For example, if your child is 10 years old and will be in Makor this summer (the youngest division for campers entering 2nd-5th grade), they will have an opportunity to sign up for three hobbies a day that will be with other Makor campers, both boys and girls. All of our hobbies and activities are designed to help campers work together to accomplish a goal and learn how to cooperate and trust each other. One of the most important activities that take place with every cabin throughout the summer is our low-ropes/teambuilding cabin activity. Every cabin group will work with our Challenge Course Director in various teambuilding challenges. The goal of these activities is to help campers get to know each other, form trust and communication skills and to have fun while working together to solve a problem. If at any point during the session, the cabin is having an issue such as cliques or lack of communication, the group will often participate in additional teambuilding activities again to help reinforce the bonds of the community and resolve any underlying issues. In addition to the cabin teambuilding activity, every day there is a different cabin activity for the group to participate in. 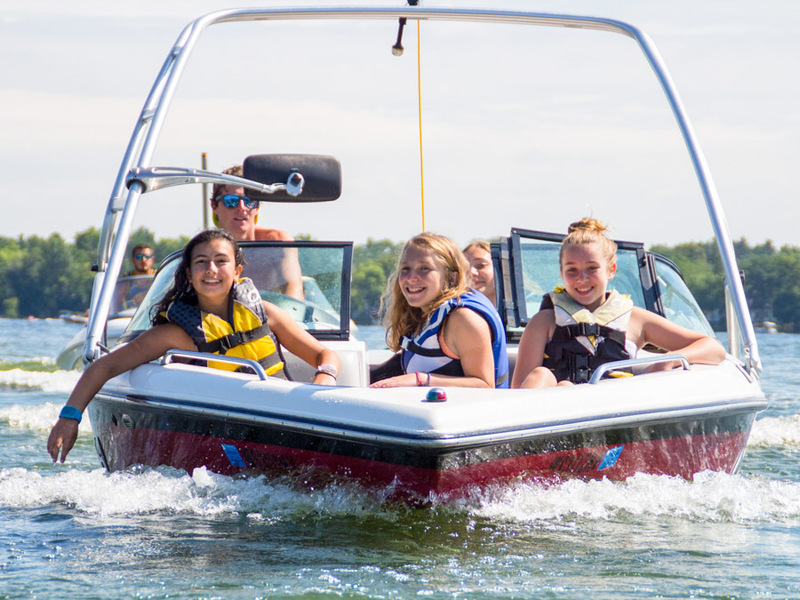 Whether it is waterskiing, arts and crafts, volleyball or music, the goal of the cabin activity is to expose the campers to all the wonderful activity areas Beber has to offer as well as give the cabin group an opportunity to play together and bond as a group. Beber’s intimate size affords us the luxury of enjoying every meal together as a camp. The dining hall is not just a time for eating, but also a time for being together to cheer, sing and catch up with each other. Sitting around the table sharing stories and concerns about their day creates intimate bonds between campers and staff. Campers eat their meals by cabin, except for Friday night dinner when campers are allowed to sit wherever they would like. This is a great time for cousins, siblings and friends from other cabins to sit together and enjoy Shabbat as a family. On the second day of the session, all campers participate in our Mishpacha program. 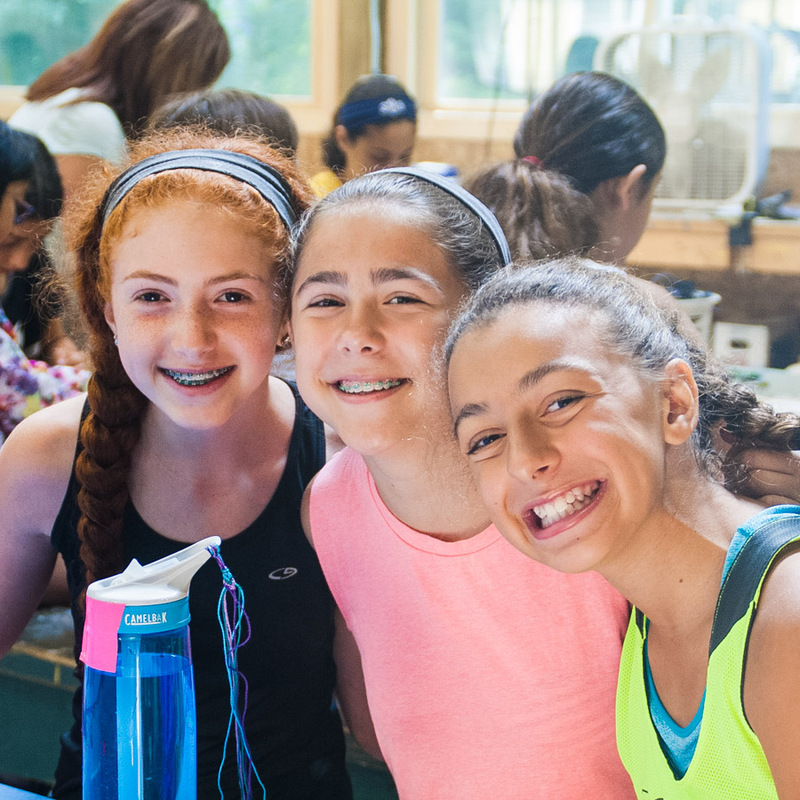 Hebrew for “Family”, the Mishpachot program is another way of building community within camp. Each group consists of campers from the youngest all the way up through our CITs, with our oldest kids serving as Emas and Abbas (Mothers and Fathers). This program is a great way to meet other campers, for older campers to serve as role models to our younger campers, and to have fun with another group at camp. Every camper sits with their Mishpachot for Saturday morning brunch and will also be on the same Maccabiah team as their “family” members. Biological siblings are always put together in the same Mishpacha. One of the great things about Beber Camp is our diversity. We have campers and staff from all over the world and in any given cabin, there could be someone from Chicago, Cleveland, Indianapolis, Los Angeles, Louisville, Denver, New York, New Orleans, Israel, France, Australia and many other places. Our staff spends a lot of time during staff training learning how to help new campers integrate into the community as well as how to help returning campers welcome and include our new campers. Our staff strives to create an inclusive community and one where every camper feels welcomed and supported. Every camper that comes to camp is unique and special. It is our job and absolute pleasure to celebrate every camper for who they are, and welcome them with open arms into our community. While we love the strong friendships that campers come to camp with already, it is extremely important that every cabin work together to create a new bond for the current summer that includes all new and returning campers. In the summer of 2012, we piloted our new Screen-Free Policy and it was a huge success! We found that campers and staff took advantage of being “disconnected” and found new ways to engage with each other and bring the “old-school” methods of hanging out back to camp. Whether it was through playing cards, sitting by a fire pit or just talking with friends, our kids and staff both reported an increased enjoyment of time spent with each other and getting to know each other better than they had in summers past. Without the distraction of electronic devices, the Beber community has gotten even stronger. If you are new to camp and would like more information on what the screen-free policy entails, please refer back to the Parent Packet or contact us in the office. During our staff training, we teach the philosophy of giving “Poker Chips” – a metaphor for building a child’s self-esteem. By increasing a child’s self-esteem, you give them poker chips. We train our staff to understand that every camper should leave camp with more “chips” than they came with. Every time we make a camper feel good about them self, we are giving them “poker chips”. It is our job for those two, four or eight weeks to make sure that we are making every camper feel special and filling their bucket with as many poker chips as possible. It is also our staff’s jobs to make sure that nobody is taking chips away from a child. In turn, our staff is trained to work with anyone who doesn’t make a child feel good about them self or attempts to deflate one’s self-esteem. Bullying, including cyberbulling, is not tolerated at Beber Camp and that includes during the school year as well. Every camper attends a bullying session led by our camp social worker within the first three days of camp and signs an anti-bullying contract. This document is designed to help reinforce the idea that we are a family and our job is take care of each other and treat each other with respect, kindness and compassion at all times. The community does not start and end in Mukwonago. If for any reason, we learn of instances of bullying either at camp or at home, we do reserve the right to notify the parents and have a conversation about the situation. We do not believe in “bad children”. However, we do believe that children can make bad decisions and we believe in helping children learn from these mistakes and move forward. As always, please do not hesitate to contact me with any questions or concerns you may have as you continue to prepare for the summer! We can’t wait for June to come!